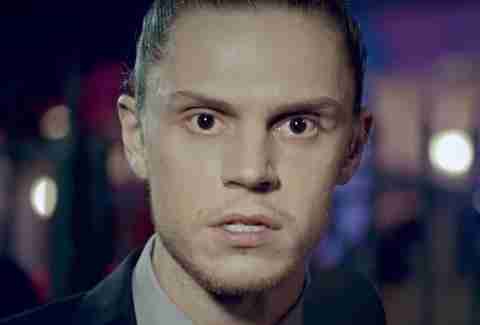 This story contains spoilers for episode 10 of American Horror Story: Cult. In its penultimate episode of American Horror Story: Cult, creator Ryan Murphy tackled Charles Manson and his notorious Family. 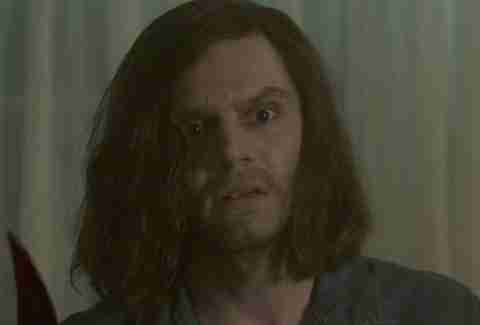 We knew it was coming: Murphy teased that Manson would be a part of this season, and admitted he’s been trying to incorporate the megalomaniac leader into the show for the last three years. “I had been working on it and researching it, but it never felt right to me because it’s been done a million times and I didn’t know how to make it fresh,” Murphy told The Hollywood Reporter ahead of the premiere. 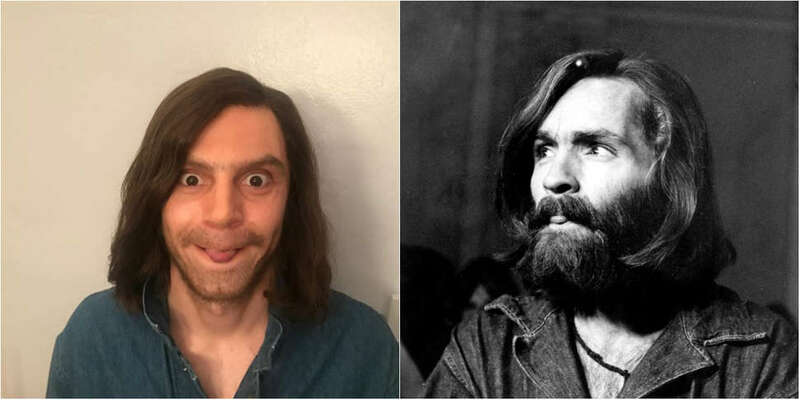 A few weeks ago, Murphy also shared a photo of Evan Peters in Manson garb on Instagram, which caused a lot of positive commotion among the fan base. The show had some fun recycling its ensemble to portray the Family. Billy Eichner and Leslie Grossman returned to play Watson and Krenwinkel, and Sarah Paulson and Billie Lourd pulled double duty as Atkins and Kasabian. Peters’ Manson showed up later in the episode as a ghost-like vision of Kai’s, the physical representation of his rapidly deteriorating sanity. The Manson-specific stuff was definitely a new spin, but the flashback to the murders of Tate and her houseguests was a little more rudimentary, like a live-action recreation of a Wikipedia article. But, like Wikipedia, you can't always trust AHS to get everything right. There were some glaring holes, and questionable omissions, in Cult’s play-by-play of the Tate murders. Here’s an exhaustive dive into what really happened on that infamous night in August, and how close the show got to depicting the events. The show did a pretty good job with the straight events -- I wasn't lying when I said it plays like a Wikipedia entry on the killings. Everything from mentions of Susan Atkins’ alcoholic parents, to her son’s name (Zezozose Zadfrack Glutz), to Tate’s dying words ("mother") were on the nose. Most of these specifics were relayed to the public via the testimonies of the killers, all of whom -- including Manson -- were eventually sentenced to life in prison. Atkins’ grand jury testimony accounts for most of what we know about the night, with specifics right down to how much money Abigail Folger had in her purse ($72) to precisely how many times Steven Parent, the unlucky friend of the property’s caretaker and the first to be killed, was shot (4). The events were later recounted in more slavish detail by Vincent Bugliosi, a Los Angeles district attorney who prosecuted the Manson Family and later wrote about it in the true-crime masterpiece Helter Skelter. The show was also right about Linda Kasabian being Manson’s "Judas figure." Kasabian, a Family member who acted as a lookout during both the Tate and LaBianca murders (which occurred the following evening), was later a key witness in the trials, and was granted immunity from prosecution for her testimony. In 2009, Kasabian and Bugliosi gave a joint interview on Larry King Live to commemorate the 40th anniversary of the murders; in the segment, Bugliosi admitted it would have been "extremely difficult" to convict Manson without her cooperation. Judas, indeed. Here’s where we’ll get a bit nitpicky. First of all, Kai tells his followers that the killings happened on August 8, 1969, but since they occurred after midnight, it was technically August 9. And though not necessarily an error, he seems to insinuate that Atkins’ son, Zezozose, was hers with Manson; Zezozose was actually fathered by a man named Bruce White, andManson just named him. The most glaring error in the episode comes in Kai’s comments about Patricia Krenwinkel. He mentions that she was picked up as a hitchhiker by Beach Boys drummer Dennis Wilson, who took her and the Family in but kicked them out after one night. Wilson did, indeed, pick up Krenwinkel, but his involvement with the Family lasted far longer than one night. In fact, Wilson’s relationship with Manson is how he came to know about the house at 10050 Cielo Drive, making Wilson a key player in the eventual murders. As we already mentioned, Charles Manson was a musician, and wrote a number of songs, many of which were recorded and still survive on YouTube and Spotify. After Wilson picked up Krenwinkel and another Family member in 1968, they invited Manson and several other members into his home, where they lived for several months. Wilson was fascinated with Manson, and so impressed with his songwriting talents that he recorded one of his songs, "Cease to Exist," with the Beach Boys. It was later renamed "Never Learn Not to Love" and was credited solely to Wilson, which infuriated Manson, who threatened violent retaliation. Wilson eventually severed ties with the Family, but not before introducing Manson to Terry Melcher. Melcher’s disinterest in Manson’s music is believed by many to be the motivation behind the Tate murders. According to Atkins, "The reason Charlie picked the [Cielo Drive] house was to instill fear into Terry Melcher because Terry had given his word on a few things and never came through with them." Tex Watson confirmed this, saying that Manson told him to "go to that house where Melcher used to live" and "totally destroy everyone in that house, as gruesome as you can." That’s the big one, but there are a few other inconsistencies. For instance, before they killed anyone in the house, Watson made Tate, Folger, and Jay Sebring lie on their stomachs in front of the fireplace. Sebring, upset that this put a very-pregnant Tate in an uncomfortable position, argued with Watson, and was shot for it. The episode also shows Watson shoot Wojciech Frykowski as he attempts to escape, when in reality Watson tackled him and beat him with the end of a revolver before he shot and stabbed him to death. Additionally, Kai says Folger’s final words were "I give up, you’ve got me," when Krenwinkel has said her actual last words were, "I’m already dead." The final error is actually a debatable one. The episode shows Atkins stabbing Tate to death, with a little help from Watson. In real life, it was Atkins taking credit for Tate’s murder while she was in jail for a separate offense that gave police their first clue of the Family’s involvement in the crime. But Atkins later refuted that claim, insisting that though she bragged to Tate that she had no sympathy for her, she couldn’t bring herself to kill her. Watson backed this up, admitting in his 1978 autobiography, Will You Die For Me?, that he was the only person to stab Tate. Even if Murphy didn’t exactly shake up everything we know about the Manson murders, or even depict them fully -- although the premiere had a winking reference to the LaBianca killings -- they do add significant weight to Kai’s story. Manson is perhaps the most famous and iconic cult leader of all time, so of course his doctrines have influenced Kai’s master plan. But like Kai, Manson was paranoid, messy, and had a looser grip on his followers than he assumed. His fall might foretell Kai’s. Though Winter’s out of the way, is there another Judas in his midst? We’ll see when American Horror Story: Cult wraps up next week.